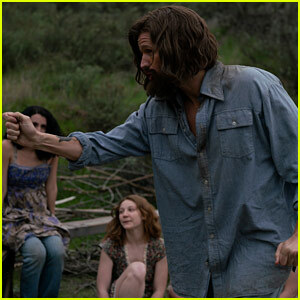 Matt Smith Is Unrecognizable as Charles Manson in 'Charlie Says' Trailer - Watch Now! Matt Smith is unrecognizable as Charles Manson in the new movie Charlie Says. Game of Thrones‘ Hannah Murray, 13 Reasons Why‘s Sosie Bacon, Imposter‘s Marianne Rendón, Gossip Girl‘s Chace Crawford, The White Princess‘ Suki Waterhouse, and more also star in the film. Here’s a synopsis of the film: Years after the shocking murders that made the name Charles Manson synonymous with pure evil, the three women who killed for him—Leslie Van Houten (Murray), Patricia Krenwinkel (Bacon), and Susan Atkins (Rendón)—remain under the spell of the infamous cult leader (Smith). Confined to an isolated cellblock in a California penitentiary, the trio seem destined to live out the rest of their lives under the delusion that their crimes were part of a cosmic plan—until empathetic graduate student Karlene Faith (Merritt Wever) is enlisted to rehabilitate them. Convinced the prisoners are not the inhuman monsters the world believes them to be, Karlene begins the arduous process of breaking down the psychological barriers erected by Manson. But are the women ready to confront the horror of what they did? The film hits theaters on May 10. 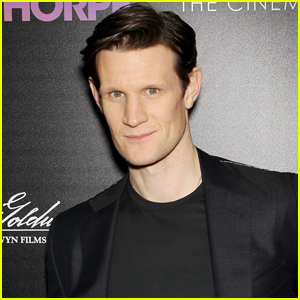 Matt Smith flashes a smirk as he arrives at the screening of Mapplethorpe on Thursday night (February 14) at the Cinepolis Chelsea in New York City. The 36-year-old actor looked handsome in an black suit over a black T-shirt as he promoted his new movie. Matt was also joined at the screening by his co-stars Eliza Dushku and Marianne Rendon. Also during the premiere, Eliza revealed that she is pregnant with her first child! An after-party was held at The Fleur Room, the 35th floor of the new Moxy Chelsea. Mapplethorpe hits theaters on March 1 – watch the trailer here! Lily James and Matt Smith pose for photos while attending the Miu Miu Women’s Tales Dinner held during the 2018 Venice Film Festival on Sunday (September 2) in Venice, Italy. The longtime couple joined a star-studded group of celebs at the event. Matt had the premiere of his movie Charlie Says earlier in the day and his co-stars Hannah Murray, Sosie Bacon, and Marianne Rendon all attended the dinner as well. More celebs at the event included Suspiria actresses Chloe Moretz, Tilda Swinton, Mia Goth, and director Luca Guadagnino, as well as Douglas Booth, Dakota Fanning, Naomi Watts, Christoph Waltz, Bel Powley, Sadie Sink, Gugu Mbatha-Raw, David Harbour and Alison Sudol, Stacy Martin, Jeff Goldblum and Emilie Livingston, Kristine Froseth, and Derek Blasberg. FYI: Dakota, Lily, Chloe, Mia, Gugu, Kristine, Stacy, Bel, Sadie, Alison, and Naomi are all wearing Miu Miu. Tilda is wearing Prada. Hannah is wearing Elie Saab. Sosie is wearing Dior. Matt Smith looks so handsome on the red carpet at the premiere of his movie Charlie Says during the 2018 Venice Film Festival on Sunday (September 2) in Venice, Italy. The 35-year-old actor also attended a photo call with the cast and director Mary Harron earlier in the day. Sosie Bacon, Hannah Murray, and Marianne Rendon joined Matt at the events in Venice to promote their upcoming film, in which he plays cult leader Charles Manson. The actresses play three women who killed for Manson and were sentenced to death, but ended up getting life imprisonment instead. The film follows their rehabilitation thanks to a grad student social worker assigned to counsel them. FYI: Hannah is wearing a Valentino dress, Malone Souliers shoes, and Alexis Bittar jewelry at the photo call and an Elie Saab dress and Chopard jewelry at the premiere. Sosie is wearing a Luisa Beccaria dress, Schutz shoes, a Jimmy Choo bag, and Jennifer Meyer jewelry at the photo call. She is wearing a Dior dress, shoes, and bag with Jennifer Meyer jewelry at the premiere. Marianne is wearing a vintage Courrèges dress and Malone Souliers shoes at the photo call and a Miu Miu dress and Chopard jewelry at the premiere. 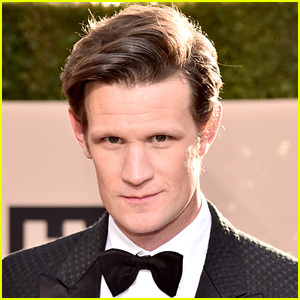 Matt Smith will play Charles Manson in an upcoming movie called Charlie Says, directed by Mary Harron. The upcoming film is based on source material from Ed Sanders‘ 1971 bestseller The Family, as well as The Long Prison Journey of Leslie Van Houten by Karlene Faith, according to The Hollywood Reporter. Suki Waterhouse will be joining the cast as well, along with Hannah Murray, Marianne Rendon, Cara Gugino, Kaylie Carter and Merritt Wever. Charlie Says will focus on the three women who were sentenced to death in Charles Manson’s (Smith) murder case. When the death penalty was lifted, their sentence became life imprisonment. One young graduate student, Karlene Faith (Wever), was sent in to teach them, and through her the film will follow their transformations as they face the reality of their horrific crimes. The film is set to shoot in Los Angeles this spring.